Extensions need to be looked after and as it is not your own hair and does not receive the same natural oils as your own hair receives at the root, extra treatment is required and hair care products are available directly from us. As for how long the Extensions will last is up to you, with our recommended care and maintenance, the extensions can last for up to one year or more but they have to be looked after correctly. The hair care we offer is specially designed for extensions and contains no oil and no sodium laureth sulphate- an ingredient which is in most shampoos etc. Without this ingredient the hair will not dry out, it will add moisture which in time will prolong the life of the Extensions. The products are enriched with Australian aloe vera, hydrolysed silk protein, and hydrolysed wheat protein, it will strengthen and protect your hair extensions while gently cleansing to maintain the hair and scalps optimum pH level. These products are a must. For those whom would like the look of long hair without the maintenance and how would like the option of taking the extensions out when required we also offer Clip-In Extension Human Hair Pieces and can be purchased via order. The clip-in extensions are available in a wide range of natural and bright colours and are very easy to insert and remove. 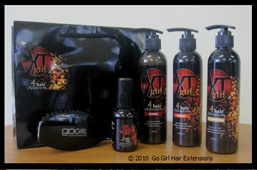 Hair care packs are available for clip-in and permanent extensions. Micro-ring extensions are perfect for people with shoulder length hair and longer. 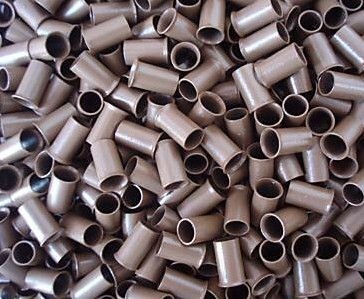 To attach the extensions we use a system in which we use tiny colour matched micro-rings made from copper, are used to clamp the extension in place to the hair. The method is quick and the entire process takes about 2 hrs. Over time the copper rings will need to be replaced and they will aways be checked when your maintenance is performed. Kim has loads of experience attaching these extensions, is very particular and likes to take her time to ensure proper attachment. These extensions can also be used on people with short hair at the bottom to add volume while London Tapes would be used on top. The London Tape is the latest Hair Extension System. A London Tape seam is micro thin and made to look the same as your own scalp, giving you a much more natural finish to your hair extension. This system takes about one hour to apply and does not cause any damage to your natural hair. No Glue, no Clamps and lasts about six months or more with correct care, they can also be reused and re taped up 2-3 times, more if requested. Maintenance should be performed every 6-8 weeks and new tape applied approx 2-3 weeks. Also not like other methods, the London Tape can also be applied to fringes and people whom have very short hair. Please note that if you have very short hair you may require more extensions than a normal full head applied to someone with shoulder length hair. This will ensure that the hair will look full without a capped look. Cold fusion is a new method, and is meant to be gentle for the hair. This method uses a keratin-based polymer to attach extensions to the root. As this method uses no heat, it is good for fine or thin hair. The polymer offers more flexibility than hot-glue, and results in more natural-feeling hair. Try London Tapes, you will never go back. 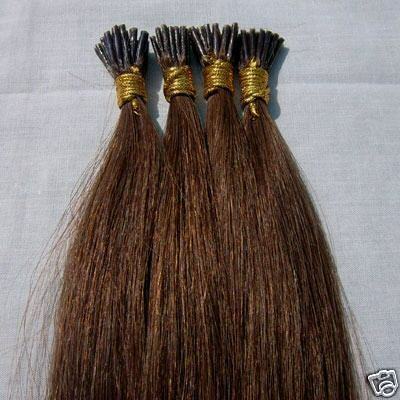 Follow these simple instructions and you will extend the life of your new Extensions greatly. Use only recommended hair care that contains no oil, sls, protein or silicon. If swimming in pools or salt water wash hair immediately or use a leave in conditioner until you can make it to the shower. If using a blow dryer do not have set on heat rather cool, this will melt the bonds and make them sticky. Have your extensions moved up to the hair line every 2-3 months, this will refresh the look and will help the hair not to matt. Do not pull at the extensions or tie up in tight ponytails. For London Tapes have the tape replaced every 2-3 weeks or when needed. Use cuticle repair serum morning and night. Care and maintenance sheets will be handed to you on the day of your appointment. NOW OPEN IN BAYSWATER, VIC.